tarte recently dropped the most magical of unicorn-inspired collections, the Make Believe In Yourself collection. I like to think that I am not a "cutesy" gal, my style has never been really girly, but when I saw this eyeshadow palette, my eyes just about popped out of my head. 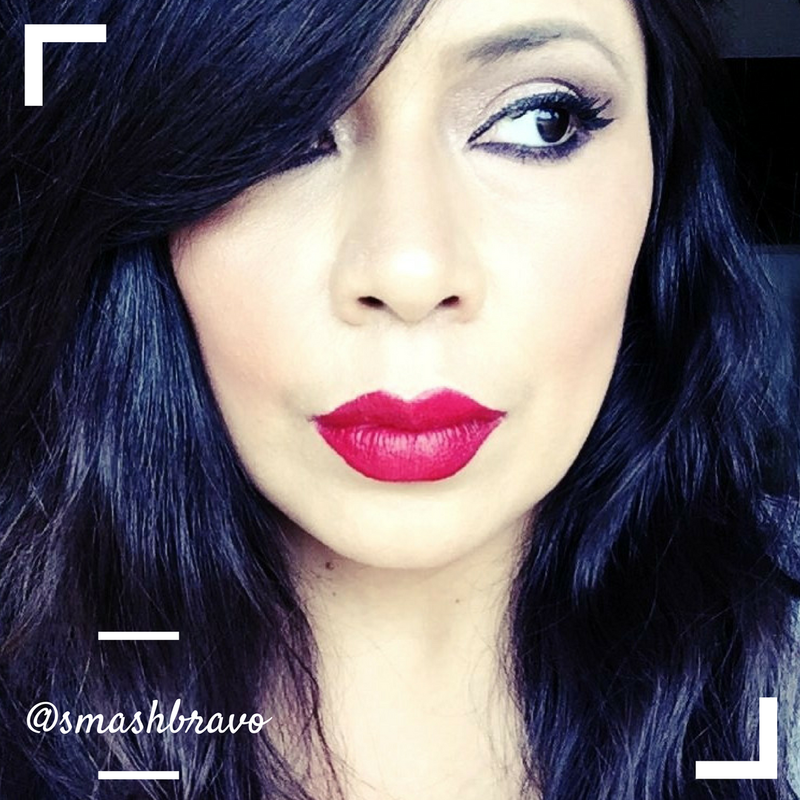 I love bright, fun shadows, I love shimmery shadows above all and I love the tarte shadow formula that comes in the round palettes. I knew that this palette was in my future the very minute I spotted it. 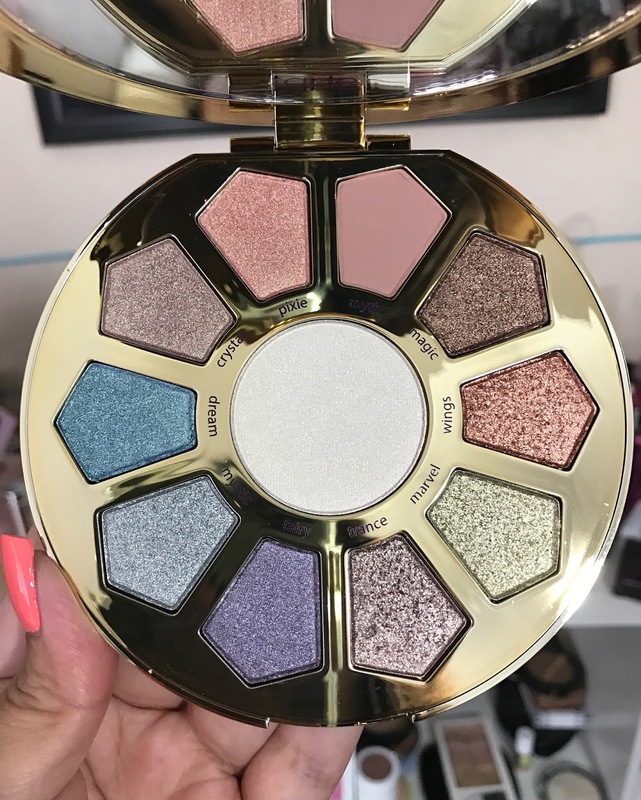 This is the tarte Make Believe In Yourself: Eye & Cheek Palette in case you haven't already seen it online, and it is absolutely 100% magical! It's so pretty, look at those shades, and the finish on them is incredible. Doesn't it make you want to put your finger into one of the pans? I hated to ruin it so quickly but I could not wait to swatch it. 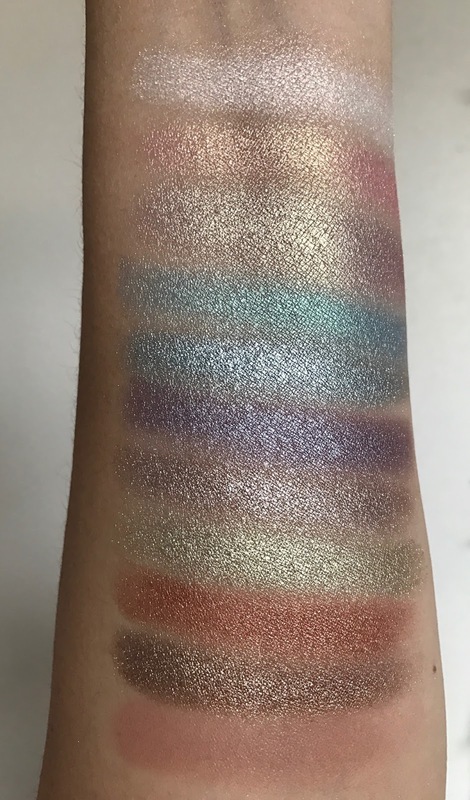 Plus, I had tons of people message me the morning after I got it, asking what time my swatches would be going live. I'm definitely not the only one who is super excited about this palette. My favorite shades are: Trance (which is gorgeous), Myth (not super pigmented but it builds nicely), Crystal (the least metallic in finish but it's so creamy and gorgeous), Magic (a beautiful everyday shade), and Pixie (this has the most amazing golden pink duo chrome finish). Those are my favorites but honestly all of the shades are super pretty. The purple, mint and bluish shades, they are all stunning. I only found one shade that didn't have the most pigmentation or as creamy and that is Wings, which I had to layer a few times for the swatch. The tarte Make Believe In Yourself: Eye & Cheek Palette retails for $40 and is available at Sephora and the the Tarte website. It contains a total of 10 shadows (1 matte 9 shimmer) and 1 strobing eye and cheek highlighter. 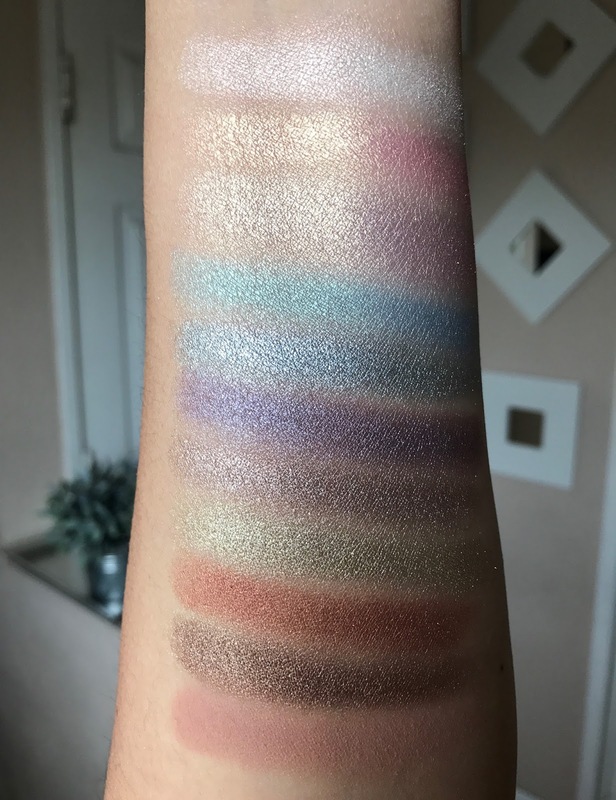 The formula of the felt different from that of the shimmer shadows, but it has a beautiful finish and you can see in the swatches that it's very pretty. Maybe it's just going to need for me to get past the first layer of product. I only got this palette two evenings ago so I have not yet tried it on my eyes yet. Once I do try it on my eyes, I will come back and update here. My most used palette of 2016 is the tarte Rainforest of the Sea Eyeshadow Palette and though the formulas are not the same, because these are really metallic shimmers, I know this is going to be a winner just based of the swatches. The formula is so creamy and swiped on like a dream, with full pigmentation on all but one shadow. I love how there was no fall out on the palette once I finished the swatches, which is another reason I love this type of formula. I am already in love, I really am. This truly is a magical palette and I highly suggest picking it up before it sells out. Purchase the tarte Make Believe In Yourself: Eye & Cheek Palette HERE.